Alex Smith Hickman came to Family Matters in 2004 at the age of 12 and participated in the Teen Boys program until he graduated from high school. “My father knew about Family Matters and put me in the group – it was something for me to do after school instead of being out on the streets. 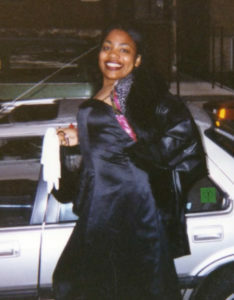 “I’ve realized how vital Family Matters was to my growing up. 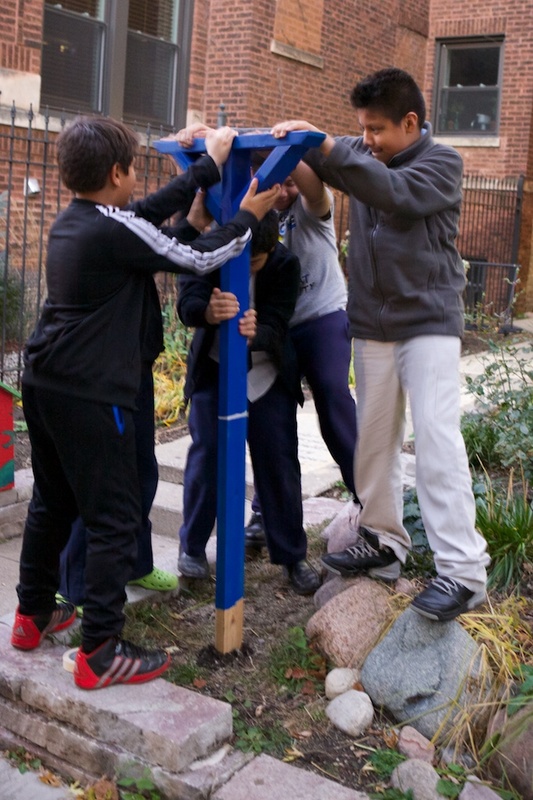 We learned art, electronics, business skills, and carpentry – how to work as a team and to communicate with each other. Family Matters helped me, as a young man, to see how I could contribute to the world with the talents that I developed here, in a space where I was with brothers. It brought us together as a family. Dan shaped us into the young men that we are today. I’m so grateful to have this place to come back to. Family Matters will always be like home to me. Spring is a time for celebration at Family Matters – celebrating warmer weather, longer days, and some other special celebrations like this one. 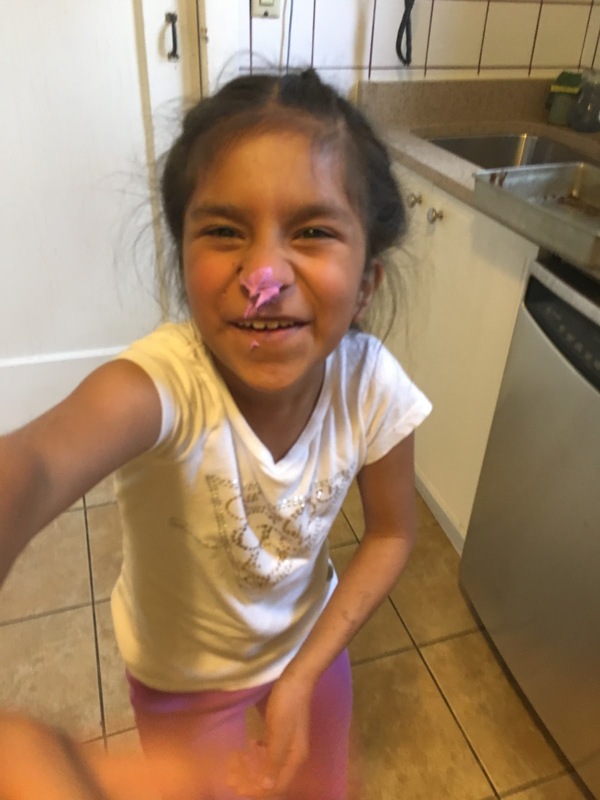 Julissa, a student in Community Tutoring’s IREAD initiative, is celebrating her birthday and her efforts sharpening her reading and writing tools. She baked the cake with her tutor, Mattie, and composed the following writing piece with her tutor, Laurie. First we washed our hands. Then we went to the kitchen. In a pan there were chocolate candies, colored frosting (pink, purple, black), sprinkles, eggs, oil, chocolate cake mix. We put the cake mix, water, eggs and oil in a mixing bowl and stirred it up. We heated the oven to 350. We put the mix in the pan and put the pan in the oven. We waited then took it out. We let the cake cool down. We put pink frosting on top. Then we put purple icing on it and decorated with the chocolate candies and the sprinkles. 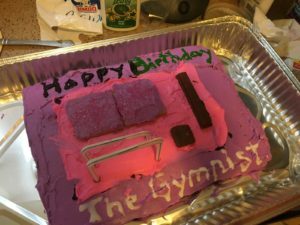 We made it a gymnastics cake. Then we ate it! Family Matters has enjoyed a longstanding partnership with Sacred Heart Schools in Chicago, and was honored to be a recipient of the SHS Goal Award for the 2014-2015 school year. We are happy to welcome a group of 8th grade boys from Sacred Heart monthly throughout the school year. The boys volunteer time at Family Matters through their Service Learning Program, while also learning about our programs and mission. On Justice Day, 2014, Sacred Heart Schools celebrated Family Matters, inviting Dan McNeil (then-Director of Teen Boys Programs) and Ashaki McClain (Director of Teen Girls Programs) to speak to SHS students. Dan presented the Family Matters Teen Boys program to Hardey 8 students and showed a video made by the young men, highlighting the similar piece of SHS and Family Matters’ missions in teaching the importance of making wise choices and responsible decisions. Sacred Heart has Buddy Benches and Peace Tables. 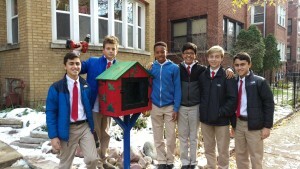 Stemming from these, 8th grade boys were given the task of building a Peace Bench for Family Matters and finding a way to connect Family Matters, Sacred Heart and the community. For this, they constructed the little libraries, born from the Free Little Library initiative. 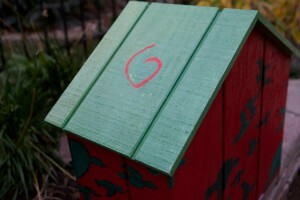 The Teen Boys at Family Matters helped to paint the libraries and posts to symbolize each organization. Students at Family Matters worked together to decide where to place the library, thinking through where it would be most visible and best utilized. 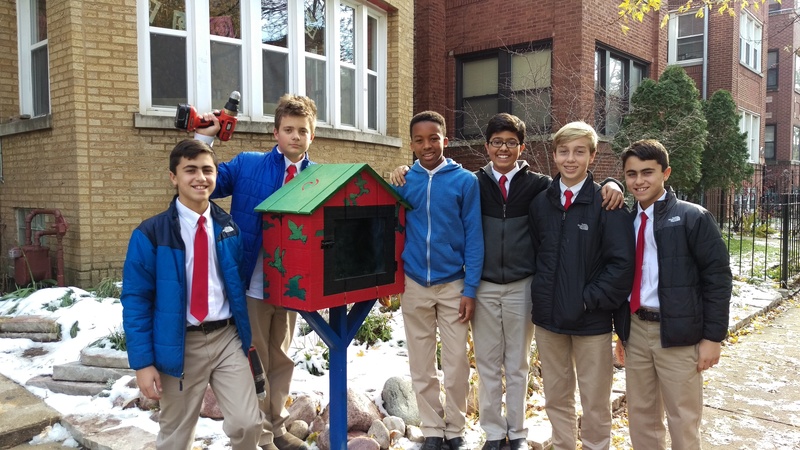 After the post was secured, the group of 8th grade boys who visit Family Matters each month as part of their Service Learning program attached the library to the post, officially planting Family Matters’ first Little Library in our garden. The final step was filling the library with books! Youth in our Family Connections program filled the library, while also taking some time to enjoy the stories themselves. 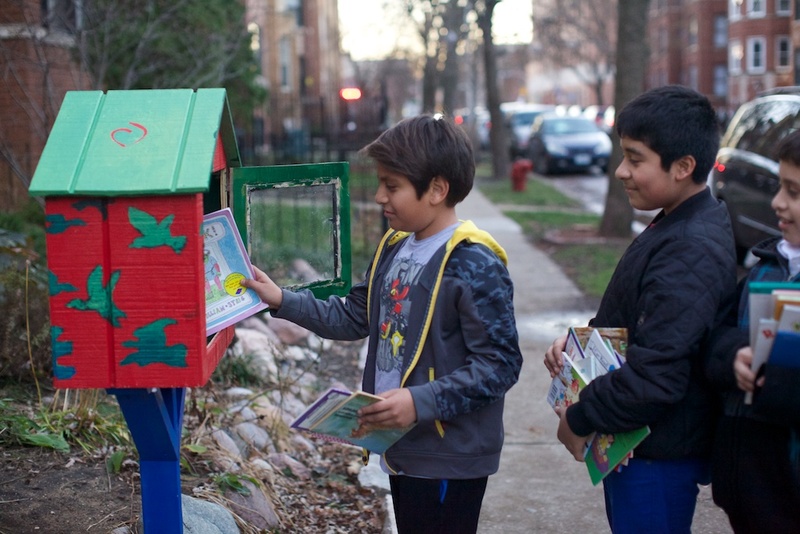 Once the ground thaws, another library will be planted at Sacred Heart on Kenmore and one at Howard Area Family Center. Sacred Heart students will leave and take books from these libraries as well. 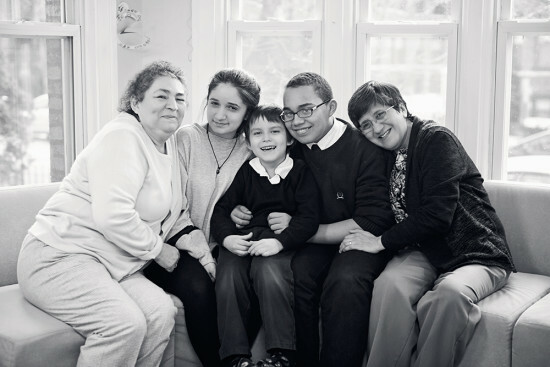 Family Matters is incredibly grateful for our partners at Sacred Heart. Please stop by 7731 N. Marshfield to leave or take a book for yourself! When Anna and Diamond started working together six years ago, Anna devised a simple but effective tool for motivating Diamond: stickers. “She loved stickers,” Anna says. The two laugh as they remember the binder Diamond covered with all of the stickers she earned for things like writing down her assignments. Although she still has that binder today, Diamond says stickers aren’t quite the motivator that they used to be. “Don’t get me stickers now,” she jokes. Her love for stickers isn’t the only thing that has changed. 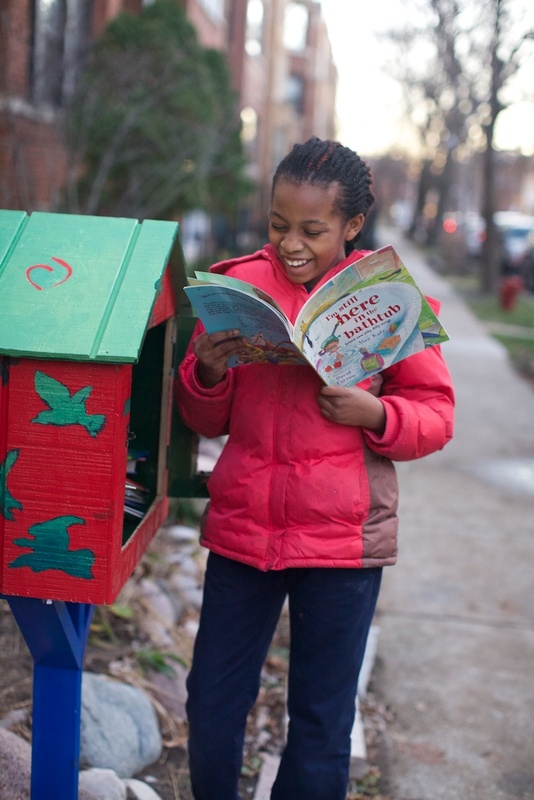 Six years ago, Diamond was a shy sixth-grader who hated books. 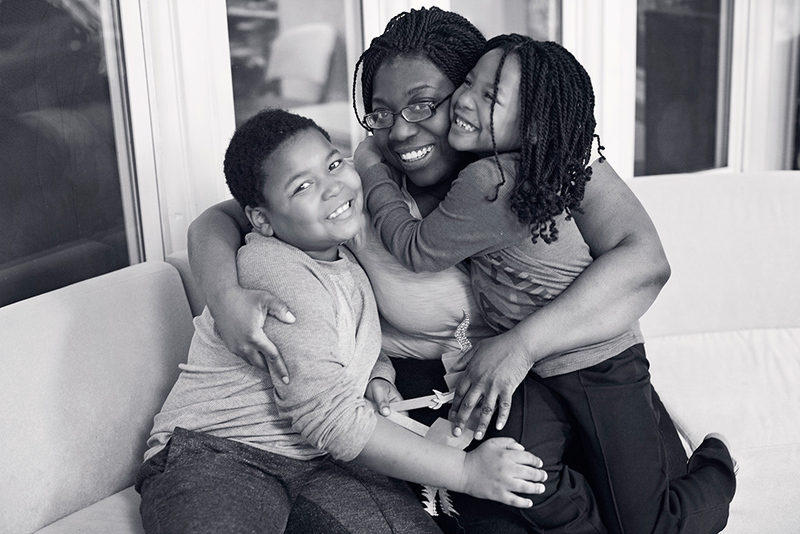 Today, she is an outgoing high school student in Senn’s theater program, and she cites reading as one of her favorite hobbies—thanks, in part, to Anna. The relationship between Anna and Diamond has evolved, too, from that of tutor-tutee, to that of friends. 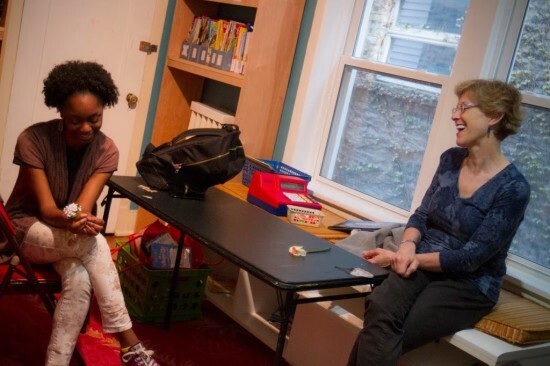 Their relationship extends outside of their weekly tutoring sessions, with Anna frequently attending Diamond’s theater performances, such as Our Town. The two also enjoy spending time together baking cookies and apple pie, a hobby Anna introduced to Diamond. Diamond has also taken advantage of Family Matters programming other than tutoring, such as the Teen Girls program and weekly piano lessons. “I have so many memories from here,” she says. Yet both agree that their friendship is one of the main reasons they return to evening tutoring year after year. 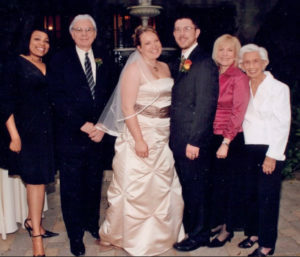 In 2006, Gretchen signed on to idealist.org, looking for an opportunity to tutor in the Chicago area. She had no idea that, almost a decade later, she would still be riding the train to Family Matters every Thursday evening. 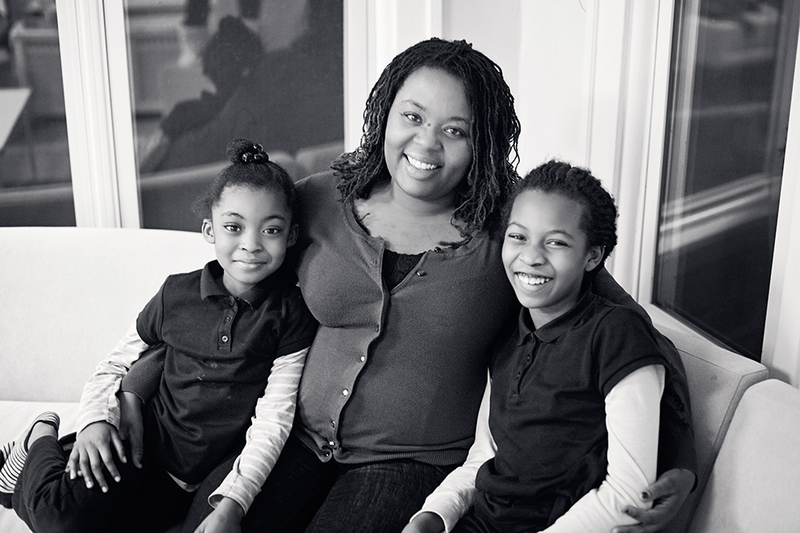 For Gretchen, Family Matters is more than just a tutoring organization. It is a community, the source of numerous new friendships, and a place that has felt like “home” for nine years. It is also the spot that has given Gretchen the opportunity to get to know Arin, a sixth-grader at St. Mary of the Lake who Gretchen describes as smart, hard-working—and just a little bit sarcastic. In the four years that Gretchen has been tutoring Arin, the pair has worked on everything from vocabulary words to science experiments. Gretchen has been impressed by the breadth of Arin’s intelligence, her analytical skills, and her willingness to learn. But it’s the time that Gretchen and Arin have spent just hanging out that Gretchen has enjoyed the most. Gretchen constantly shows up to Family Matters with something new in her bag: Boggle, art supplies, the ingredients to make homemade biscuits. Arin says she likes working with Gretchen because of her fun personality and sense of humor. Gretchen similarly appreciates how much Arin makes her laugh.